What Makes a Good Cement Mixer? A cement mixer is a machine with a revolving drum that is used to mix cement with water, sand, or gravel to make concrete. This mixture is then poured into the desired location or into molds and left to harden. Once the concrete is hardened it creates a very strong, and stable structure that can be permanent. Concrete is an important aspect of modern society as is it used to create foundations for homes and buildings as well as sidewalks, driveways, entryways, and even outdoor sporting arenas. While these are very common uses on the professional front, many homeowners use concrete to create walkways, counter tops, or outdoor patios. Concrete paving stones can also be made to personalized your garden. Stone memorabilia that can be made with concrete include hand prints and foot prints of grandchildren, artwork and designs that can be painted, and other craft projects. Without concrete we would not be able to build many of the structures and foundations found today. Concrete is a fundamental building block, but in order to achieve the many benefits of concrete you must first create it, and in order to do this, a cement mixer provides better consistency and stronger concrete than mixing by hand. A cement mixer will allow you to achieve the perfect combination of materials. Too much or too little of an ingredient and inadequate mixing can lead to results that are rough, cracked or won’t properly harden. A cement mixer takes the guesswork out of mixing cement. They have a wide opening and turning paddles that rotate to mix the cement properly leaving little room for error. One key reason users love a cement mixer is consistency. When you’re mixing a large batch of cement, the substance can easily become thick. Far too thick to effectively stir by hand. A cement mixer allows for a thorough and consistent mixing motion that gives you enough time to work with the mixture. It will also create the perfect consistency needed for a strong finished product. Through our research and testing of the top 26 consumer concrete mixers the Kushlan 600DD direct drive cement mixer rose above its competitors. 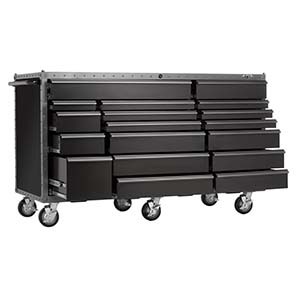 The steel construction gives it the power and durability needed for long term use. The ¾ horsepower motor is strong enough to mix both small and large batches of concrete effectively. The wheelbarrow style is easy to move to the job site which gives it increased portability. 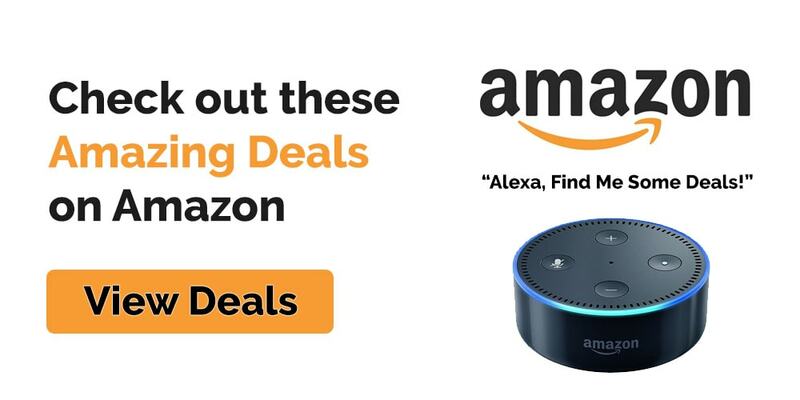 All of these make it our top pick. Originally, the cement mixer was designed for the working man and was mostly used in construction settings. 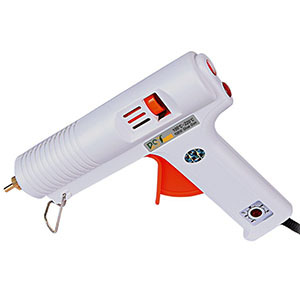 Today mixers are used in both professional and home settings with more DIYers taking on the tasks of home improvement. Whether you want to add concrete to your hardscape, add character to your landscape, or build a patio or counter tops, a concrete mixer will help you complete the task efficiently. Concrete is a very affordable option for many home projects and owning a mixer will help you obtain professional results. Those who will benefit most from a concrete mixer include, people who participate in DIY projects, homeowners, construction workers, and artists. There are several aspects that make a good cement mixer. The construction of the unit is the first key consideration. Cement is very heavy and you must have a unit that can handle the weight and still create a work environment that is easy to manage. You want a cement mixer to be built from materials that are able to support the weight of the cement mixture without being too difficult to move and use. Steel drums are commonly used because of their strength and ability to hold very heavy material. Steel cement mixers are among the most durable and can effectively hold and work through the amount of cement mixture you will require. Other considerations around the drum is the size of the opening or drum head, and the ease in which you can manipulate the drum when it comes time to pour the mixed cement. The best drum heads have a large opening that is positioned to hold a lot of concrete, while still being able to tilt when it is ready to be poured. Drum capacity or size of the drum will determine the amount of cement you can mix at a time. A drum will allow you to mix larger amounts of cement then you could achieve by hand and make your work faster, and easier eliminating the need to make very small batches for the same project. Another quality the best cement mixers will contain is a high voltage motor. A High voltage motor will provide your cement mixer with the power and force it needed to mix the ingredients effectively and thoroughly. This will provide you with more rotations per minute thus giving you a more consistent mixture and faster mixing time. The blade or paddle should go all the way to the bottom of the drum if you will be mixing both small and large batches. Wheels, a base, and a handlebar will allow you to move the mixer to where it is needed. This added convenience works best with high quality wheels. If it is too difficult to move around you are less likely to use it. The wheels also contribute to reducing user fatigue as you can move your machine closer to the area where the final mixture will be poured saving your back and knees from heavy lifting. The handle provides greater control and direction as you will be able to steer and maneuver your machine to its desired location. We began our research by conducting a general search for cement mixers. Further research led us to the features and quality that make up the best mixers. 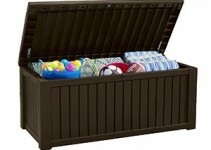 These include durability, motor, mix capacity and portability. We narrowed down the list and then reviewed tool blogs, forums, magazines, and received expert advice from professionals who use mixers in their daily work. This allowed us to select the best brands and models of available cement mixers. Lastly, we consulted with customers and homeowners who had purchased mixers and evaluated both initial and long term performance of the top brands before narrowing the list to our top pick. The Kushlan 600DD is constructed of an all steel drum that can hold up to 6 cubic feet of concrete. With a heavy duty steel tubing frame for maximum support, you are able to mix both large and small batches effectively. It can hold up to 300 pounds of premixed cement. This mixer is equipped with a 120-volt ¾ horsepower motor which give enough power to mix large batches with consistent results. The unit contains 3 steel blades that turn up to 28 rotations per minute giving you fast results and greater consistency. The 3 steel blades have a mortar/concrete configuration for the most efficient mixing possible. The drum is approximately 6 cubic feet with a 5/16th inch gauge and a 17-inch drum opening which resists cracks, dents and rust. It is also easy to clean. The 17 inch opening makes it easy to pour at the quantities you need, when you need it. There is easy access and a clear line of sight during the work process. 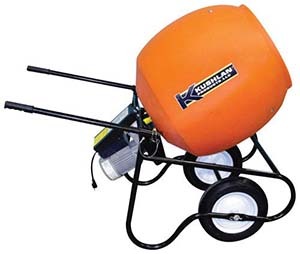 The Kushlan cement mixer is conveniently equipped with two durable polyurethane wheels that are designed not to go flat. The style of this unit is like a wheelbarrow, making it easier to pour the mixture out once it is ready. There is also a steel-framed handlebar that will provide extra support and control. It can retract when not in use. If you’re looking for a cement mixer with more cement capacity, the step up is the Imer portable tripod model 1126605. This upgrade has the ability to mix up to 275 pounds of mortar, stucco, or grout, in addition to concrete, all in five minutes or less. The machine is equipped with a care harden drive shaft which ensures years of reliable performance. The unit features a full enclosed ½ HP 110-volt industrial grade motor with direct gear drive. This high grade motor is able to handle larger batches and has longer durability than most portable mixers on the market. 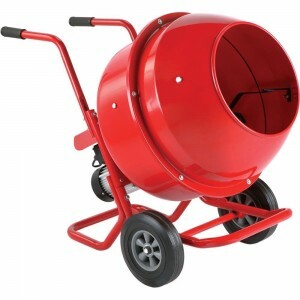 This cement mixer has wheels and durable handle bars to maneuver and transport with ease. Cement mixers need to be used with care to prevent damage or injury. Taking note to care properly for the machine will enable it to last longer and provide you with more consistent performance. We have compiled a few safety and maintenance tips that will keep everyone safe and enable you to enjoy your cement mixer for years to come. For gas powered mixers always shut off engine before fueling. Never leave your cement mixer running unattended. Keep any loose articles of clothing or accessories away from all moving parts. Watch out for others when transporting your mixer, as they can be extremely heavy. Work in small batches so the cement does not set prematurely. Only use the mixer as directed by the manufacturer. Do not overload your mixer, as this could damage the engine. Always clean your mixer after each use. The cement mixer should be rotating when pouring and filling. Cement has become a vital element for quality living and has vastly progressed into something that not only professionals can use, but also something the average person can enjoy. These mixers can pay for themselves through efficiency and added convenience. They take a difficult task and create on that is both fast and manageable. You can complete DIY projects, home improvements and even memorial crafts, or customized projects with ease. Choosing to add a cement mixer to your toll collection will lighten your work load and brighten your day.